Classic Dental Smiles > Frequently Asked Questions (FAQs) > Dental Implants > How do you plan where a dental implant goes? We have state-of-the-art technology in the form of 3D xrays (CBCT). Less than 5% of dentists in San Diego have this technology in their office; we are part of that top 5%. These pictures gives us absolute clarity regarding the area in question in three dimensions of space. 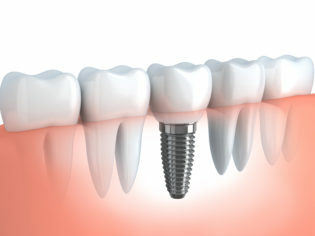 Using special software, we can digitally plan out where the implant should go and where the final crown will be. The whole process is mapped out from start to finish so any potential complications can be identified and avoided before the procedure even starts. The best part is that this can all be done digitally without having to take any physical/goopy impressions!